Our final episode of 2017 arrives with bells a-jangling in the form of our traditional live show from Dragonmeet. Learn about Stalin and Atlantis, what elements of our work we think other designers have picked up on, which beverages go with which iterations of a beloved nerd franchise, why Nazis are stupid, and much much more. We’ll be back on January 5th with our first episode of 2018. 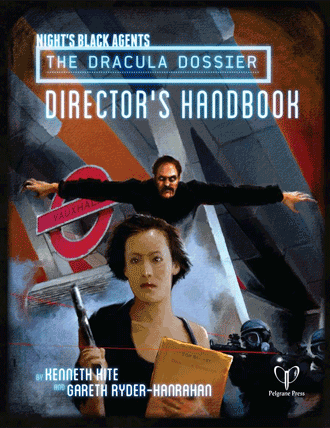 Sink your fangs into an amazing deal as the Dracula Dossier haunts the Bundle of Holding. This bargain is so unbelievable that it can’t see itself in the mirror, and ends on December 27th! 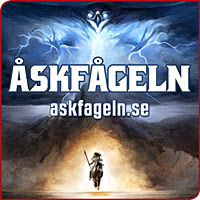 For decades Tove Gillbring of Askfageln has been a beacon of Swedish gaming. Now her cancer has returned, and she’s determined to focus the rest of her life on an ultimate burst of creative fireworks. Help her husband Anders make that happen by supporting the LOVE TOVE crowdfunding campaign. Please note that the campaign moved to GoFundMe after this episode was recorded. If it’s December, Ken and Robin must be coming to you live from Dragonmeet, the little London convention that isn’t so little any more. Join us as Ken emerges triumphant from a draw of the nerdtrope deck that definitely, definitely happened exactly just as Robin describes it. Plus red herrings, steak, and more stupid gnomes. Also in a Dragonmeet tradition, the f-bomb gets dropped–and the dropper might surprise you! Get trapped in Lovecraft’s story “The Call of Cthulhu” in Atlas Games’ addictive new card game Lost in R’lyeh. Take a selfie with your purchased copy of the game at your brick and mortar game retailer and send it to Atlas to claim your special Ken and Robin promo card. Do intervals between Ken’s Time Machine segments leave you listless, bored, and itchy? Then you’re in luck, because TimeWatch, the wild and woolly GUMSHOE game of chrono-hopping adventure has now blasted its way into our reality. Brought to you by master of over-the-top fast-paced fun Kevin Kulp and our reality-maintaining overlords at Pelgrane Press. For those seeking yet more Ken content, his brilliant pieces on parasitic gaming, alternate Newtons, Dacian werewolves and more now lurk among the sparkling bounty of The Best of FENIX Volumes 1-3, from returning sponsors Askfageln. Yes, it’s Sweden’s favorite RPG magazine, now beautifully collected. Warning: not in Swedish. John Scott Tynes’ Puppetland is ready to knock the stuffing out of a game store near you in its gorgeous new full-color hardcover edition. Join the good folks at Arc Dream in battling the horrific forces of Punch the Maker-Killer!